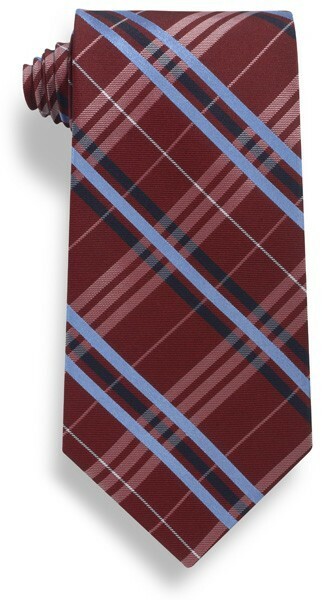 100% polyester red, navy blue and light blue plaid woven neck tie. Also available in silk. Polyester plaid tie. 58" standard length. Available in black and gray with light blue plaid, navy blue with yellow and light blue plaid, red with navy and light blue plaid, and light blue with navy blue and white plaid. Minimum order quantity of 12.